David: It was like boy it really surprised him. "It sounded like a foreign name, Dave." 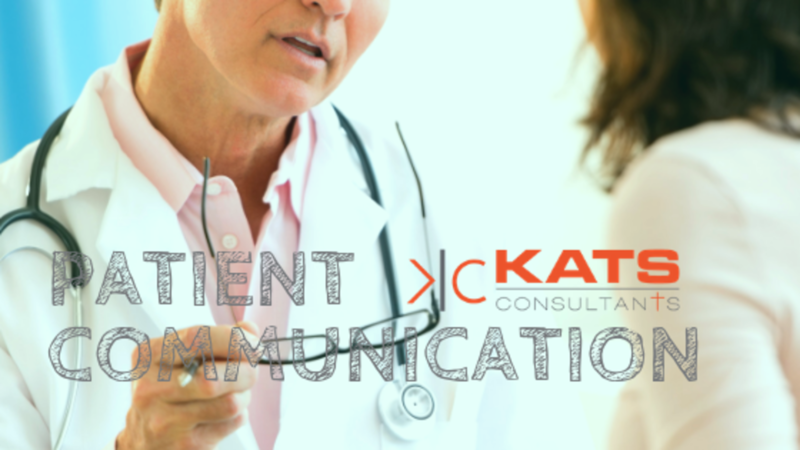 I think what you have to do is when you have patient communication, you have to take everything in strides and it's basically, "I expected that." Patrick why don't you give some examples of I expected that? Patrick: Right, more times than not when you walk in with a patient, they're going to say one of three things, they're either going to be better, they might be a little worse or they're going to be about the same they were last treatment. Mike: That's about all they can say. Patrick: That's right. You've got to be prepared when you walk in the room for one of those three and if you can do that, that definitely sets the ball in motion. It makes you feel a little bit more of ease when you walk in with the patient. Unfortunately not every patient is going to feel better after the adjustments. Patrick: Sometimes they can be a little achey, a little sore afterwards. Well, that's exactly what I expected or if they're better, that's pretty much what you expect or not. You just move forward and when you walk in, always be confident and be able to roll with the punches. Mike: I think it's always important to maintain the same demeanor no matter what they say. Sometimes you have a tendency, especially when you're young in practice, you have a tendency if they're doing better "Oh my gosh, that's great." David: Or they say "I'm doing better." and you say "Really?" Mike: "No, really?" [chuckles] Or they're doing worse and they have a little bit of a scowl on their face and you don't quite know how to handle it and say something like "Oh no, I don't know what to do now." Always maintain a calm demeanor when you're in with patients. "I'm doing better, doc." "That's great." "I'm not feeling any better, doc." "You know what? I expect that." "Doc, I feel a little bit worse." "I expect that too." You maintain that same calm demeanor so that no matter what they throw at you, you've expected it and that's really what they're looking for. They're looking to see how you're going to react. David: That's right, and sometimes you add into that. For instance, if they said "Doc it's my third adjustment and I feel like I'm 100% better." You can say "Well, I kind of expected that, but I want to tell you that the problem is still there even though the symptoms have gone away, so we've got to keep working on this." Always put some qualifiers around I think. If they say "Doc, I feel worse." You say "I expected that because your body has to do a lot of shifting and you're going through times where you don't feel so good." Always say, "I expected that." and then if they're really good say, "Don't get overexcited." and if they're really bad don't say, "Get overexcited." David: Just plan on it. Mike: Another thing I like to do too is too is I like to grade if you will, grade the adjustment and let the patient know how they're doing on a daily basis. "That was a really good adjustment today, Julie, and I think we're really making some progress here. I've noticed that your leg length, you remember in the exam we started out, we were about an inch and a half apart. Today, you're only about half an inch. I really think we're making some good progress."